As creator of what was once one of the world’s most popular social networks, Michael Birch knows a thing or two about running a digital enterprise. But what exactly do you do following a near billion-dollar exit? The Next Web caught up with the Bebo founder this week to find out. 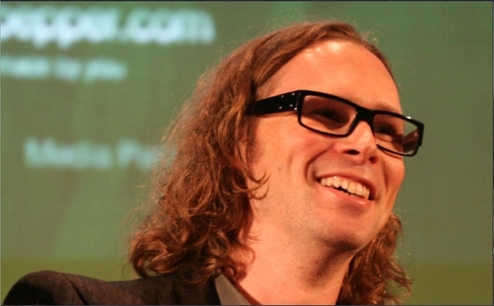 Michael Birch launched Bebo with his wife Xochi in January 2005, whilst living in San Francisco. At its peak, Bebo was one of the top websites in the UK, overtaking MySpace in 2007 with an impressive – at the time – 10.6m unique views. Today, however, is a different story. Facebook is the preeminent platform for social media lovers in the UK and, it seems, nearly every other country, a few notable exceptions aside. Given that you rarely hear about Bebo these days, you could be forgiven for thinking that the social network had ceased to be, but that isn’t so. Michael and Xochi Birch sold Bebo to AOL in 2008 for a whopping $850m, and AOL in turn shifted it on two years later for around $10m to an investor group. I’m no financial analyst, but that wasn’t good business. Today, Bebo still enjoys reasonable levels of traffic. According to Alexa ranking figures, it’s still one of the top 600 websites in the UK, whilst it’s in the top 2,000 worldwide. But there’s little question Bebo isn’t what it once was. So has Michael Birch had enough of social networks since he cashed-in on his Bebo baby? Apparently not. Along with his wife Xochi, he founded Monkey Inferno a so-called ‘personal incubator’ (PINC), a breeding ground for cool Internet projects that happen to take Michael and Xochi’s fancy. And one of these projects is Jolitics, a political social network that Birch says he hopes will breathe new life into politics online. Jolitics officially launched in the UK in March 2011, following an extended trial period in Ireland. At the time of writing, it’s only available for UK and Irish users and Birch told me that it has around 2,000 signed-up users to date. Monkey Inferno has allocated two full-time people to the project, though with16 employees working in the incubator, there can be up to 4 people working on it, depending on the current requirements. As with any new business concept, it has to solve a problem. And in the case of Jolitics, the main problem it’s striving to circumvent is the vocal minority – those who petition and make their voice heard over and above everyone else, but who don’t represent the views of everyone. Birch believes online politics should be operated by a team without a political agenda – it should be non-partisan. Discussion, he says, requires balanced debate and there is a real need to hear ALL sides of the story. Voting is central to garnering consensus and everyone must be represented. The problem with politics online at the moment is that it’s a vehicle for the creators’ own political agenda, it’s based around party politics, it’s forum or petition based. And to reiterate a key point here, the vocal minorities often rule. So was there a pivotal moment that eventually made Birch run with Jolitics? It seems to me that one of the reasons why vocal minorities often get their way is due to apathy and indifference from others. So how exactly will Jolitics garner a wider spread of opinion, when it’s likely that a high percentage of the population simply won’t be bothered about a certain cause? It seems that a central component to Jolitics is the focus on individual proposals rather than the traditional party approach, and this could be a major appeal for many. The underlying ethos is that typically ‘liberal’ people may hold certain conservative values, and vice versa across the political spectrum. How will Jolitics fit into the broader social sphere? And isn’t Jolitics just a souped up Facebook that specializes in voting and opinion polls? What about the MPs – Jolitics directs all these votes to local politicians, will they mind being bombarded with poll after poll? They shouldn’t have a problem with it, given that they’re public servants and their email addresses are in the public domain. But I’m curious as to whether many MPs have openly endorsed the social network and what the overall feedback has been like so far. Moving on, you may be wondering what the business model here is. Surely Jolitics isn’t the sort of platform that would lend itself to drawing in big bucks. It’s a bridge between the public and public servants, so how can that be monetized? So how will Jolitics make money? So given Michael Birch’s track record in the social sphere, he’s obviously active on all of them, right? With Jolitics still finding its feet in the social media sphere, I thought it would be interesting to take a look back at Bebo, the motivations behind its sale and whether Facebook’s meteoric growth was a major factor in the sale. Despite Birch selling Bebo to AOL in 2008, he actually bought back a little piece of Bebo last year, after AOL had sold up. So as an adviser to the company, does Birch feel a little strange about working again on a platform he founded? Whilst it’s unlikely Bebo will ever gain ground on the dominant social networks out there, does Birch think Facebook will ever be usurped as the number one social platform? And what about AOL, jumping ship with such a massive loss so soon after buying Bebo? So what now for Michael and Xochi Birch – are there any ideas bubbling away that they’ve never quite gotten ‘round to working on? And then there’s Water Forward, which will be a non-profit website which aims to develop as a way to support charity: water, an initiative that Michael Birch supports. And with one more project in stealth mode, it’s going to be a busy year for everyone at Monkey Inferno. Meanwhile, whilst Jolitics is restricted to the UK and Ireland at present, there is a longer term goal of making the platform available to other countries, so keep your eyes peeled. It could be the shot in the arm that politics sorely needs.